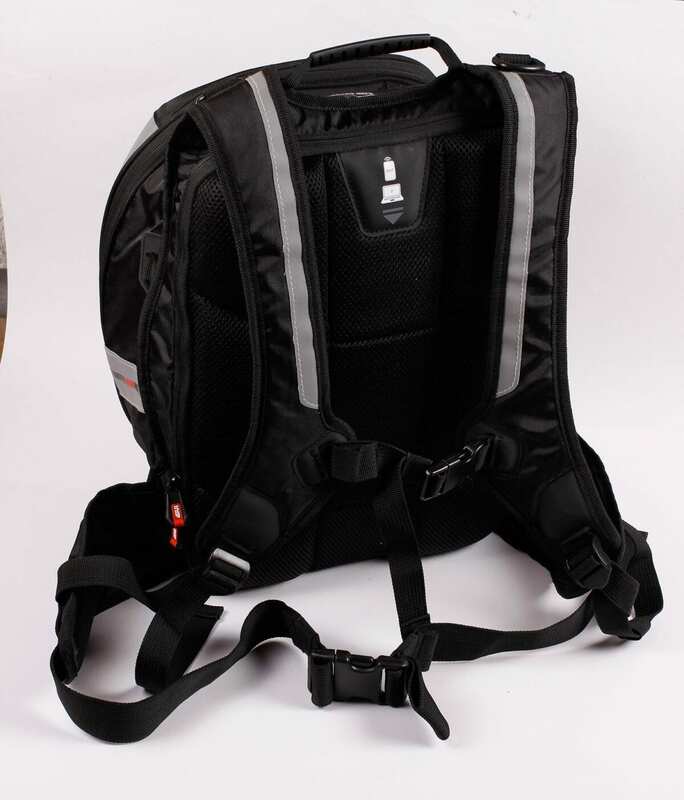 The 30 litre Xstream is most likely to find favour with riders needing to carry their kit to work. 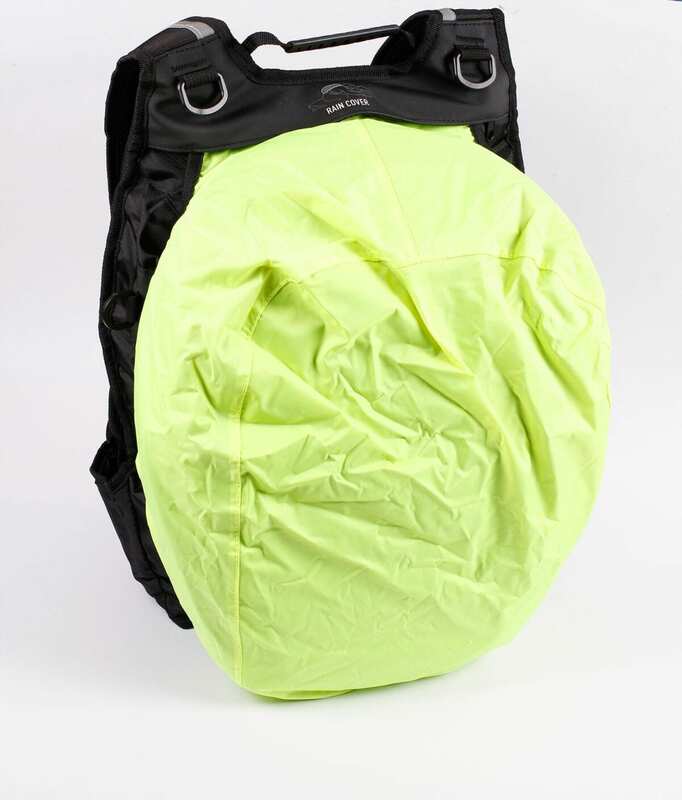 The large main section is easy to access, with a water-resistant zip running around three sides, while a fabric ‘web’ towards the bottom allows the front to tip forwards without the contents spilling out. 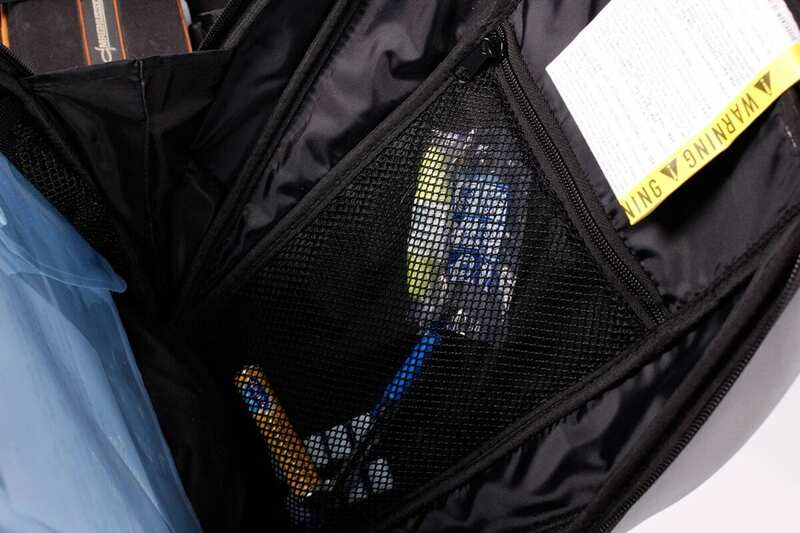 A deep zipped mesh pocket holds pens, phone, cables etc, with two open mesh pockets suitable for bottles or cans. The top of the pack has a water-resistant zipped, soft-lined glasses pocket (which I use for change and my security pass). 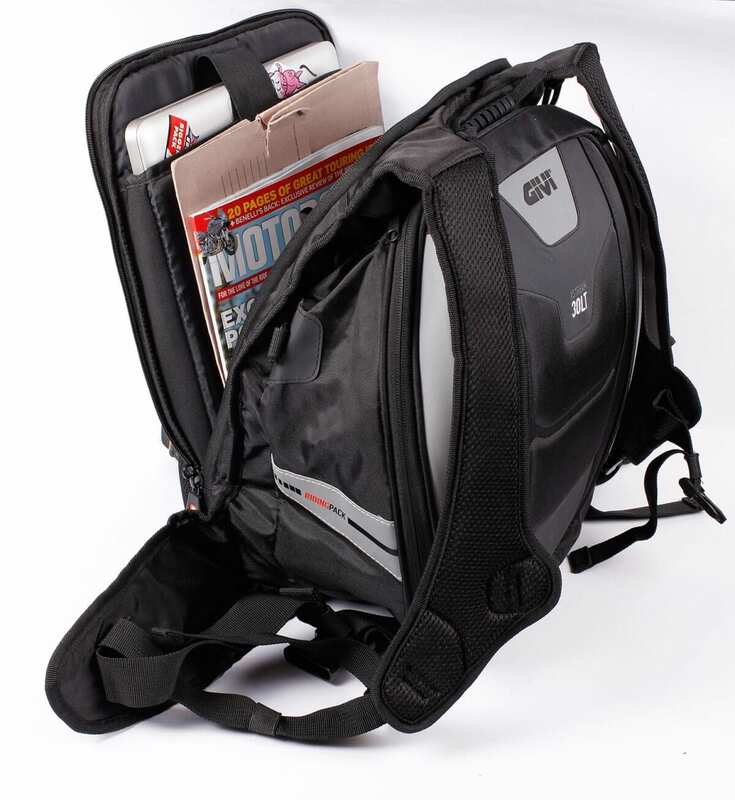 Between the main straps and the thickly-padded 3D mesh back is a water-resistant zipped laptop pocket big enough for 15” laptops. I’ve had no problem getting two MacBooks in here, as well as some paperwork – it’s heavy, but I need it. 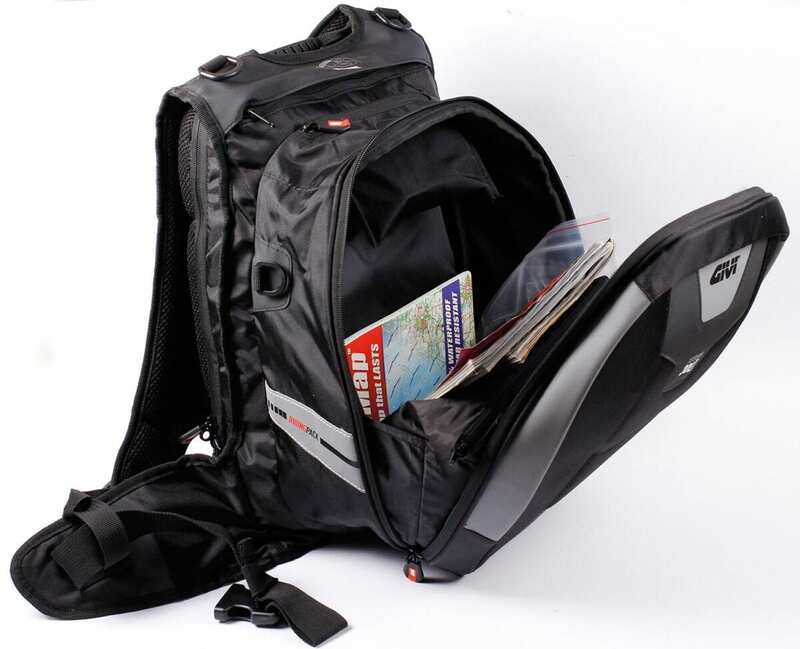 The base hides a stretchy fabric helmet carrier which will support a lid on the back of the bag. 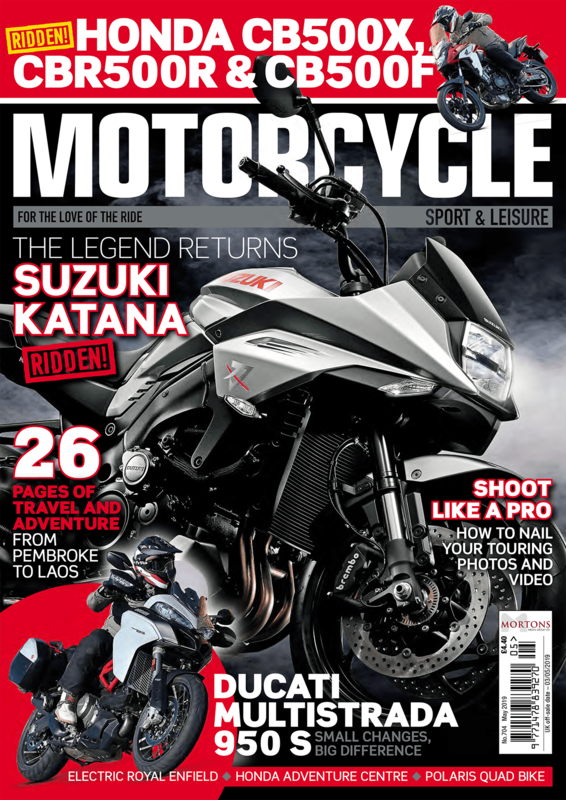 It’s not suitable for riding with, but handy when you’re off the bike. 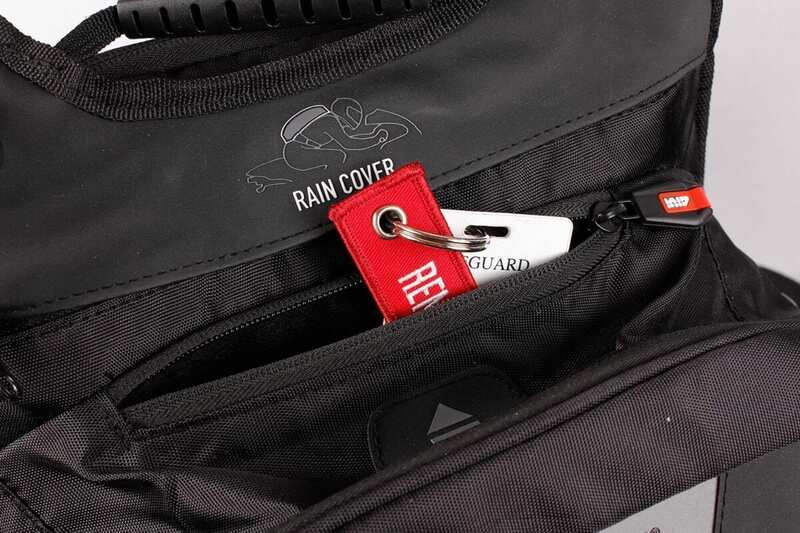 The zips shouldn’t be relied upon to keep heavy rain out, but an integral fluoro rain cover can be pulled out of the top to protect the main compartment. It seems an oversight that this doesn’t cover the laptop compartment, though it’s nestled well against your body, so water would struggle to reach your machine. 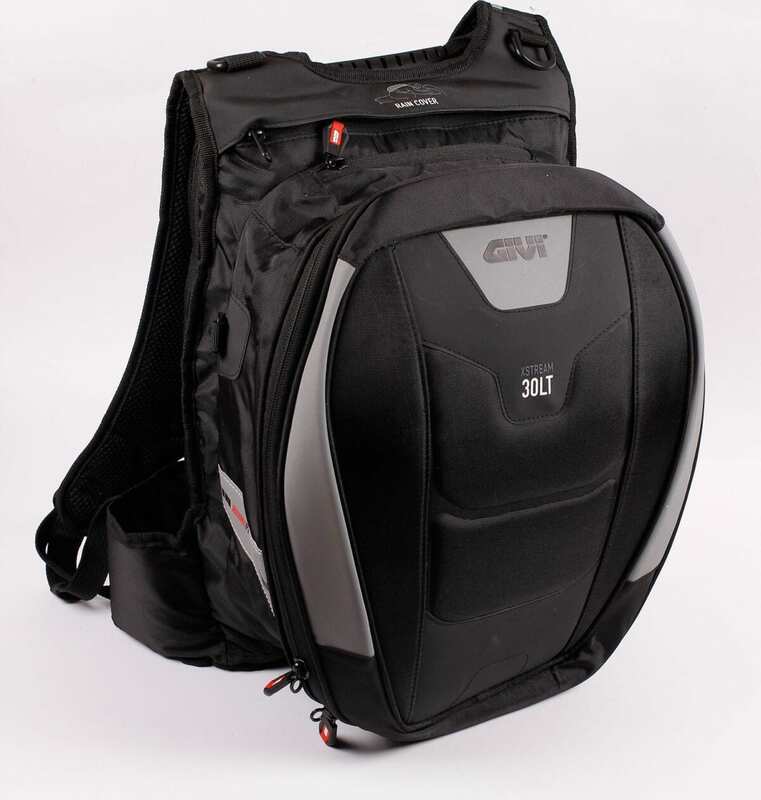 City riders will most likely find this pack ideal for the daily commute, but if your journey is longer, and you’re likely to be riding a lot in bad weather, it’d be worth bagging your laptop just to be sure, or looking at 100% waterproof packs.